Call him the maestro. 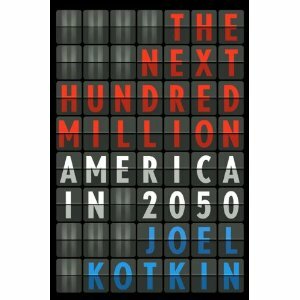 Joel Kotkin has more music to the ears of Americans with his futurist predictions from the 2010 book Next Hundred Million now coming true. His latest piece, "America Hanging in There Better Than Rivals," is a must-read, short update to his book's look at North America versus the rest of the World. He says, "Despite the many challenges facing the United States, this country remains, by far, the best-favored part of the world, and is likely to become more so in the decade ahead. The reasons lie in the fundamentals: natural resources, technological excellence, a budding manufacturing recovery and, most important, healthier demographics." Manufacturing. STEM skills. Demographics and immigration. All the components of a healthy future.